A formal Petition to Congress announcing the Establishment of a Religion, pursuant to the First Amendment of the Constitution of the United States of America. from Kantheism (1996 fr. Greek: kannabis + theism). 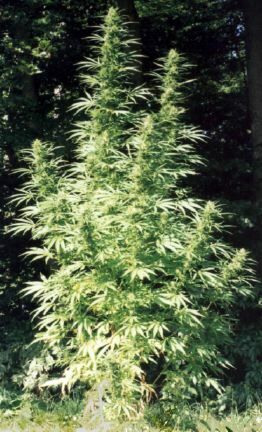 I believe that Cannabis sativa, L. is the useful cane and the true hemp. I believe that Cannabis Hemp is a restorative natural resource for all humanity to grow, share, and use for our fundamental needs. Therefore, I shall honor its existance. I believe that the Cannabis plant is endowed with important healing powers, some of which cannot yet be explained. Therefore I shall offer it to ease the suffering of others. I recognize cannabis as a sacrament within my community. Therefore I shall receive it with thanksgiving and deep respect for its resinous powers. The cultivation and disemination of cannabis are honorable professions. Therefore I shall act with absolute integrity to protect the Cantheist community and its values. Cantheism neither endorses nor discriminates against any other church, faith, or system of belief. Anyone may incorporate Cantheism into their current religious persuasion, so long as they adhere to the Creed. Biblical religions, including Coptic Christianity and Rastafari: Ganja, spliff. Egyptians such as the Smoke Eaters at the Temple at Thebes, incense rituals. Pygmy and other African religions: Mound smokers. Sufi Moslems: use cannabis to reach an ecstatic state. Observance of Cantheist rites are beneficial but not mandatory. Practice cannabism, the regular consumption of cannabis. Make oblation with the hempseed, and sow it everywhere. Offer thanksgiving and blessing for cannabis when you partake. Share the holy smoke among the faithful. Use a hempen prayer cloth to inhale through when sharing the holy smoke among the community. First passage of cannabis at age 16: Parents may choose to offer cannabis, child may pass on this opportunity. Age of personal consent at 18: Adult steps forward and accepts Cantheism and shares in the sacrament. Undertake cannabinges, periods of intense consumption of cannabis. Freedom pilgrimage: Take the sacrament in a land that it is free from oppression at least once in your life, and remember the years of persecution. The graphic symbol for Cantheism is modeled after the ancient Egyptian hieroglyph for hemp rope, which was transformed into the letter "h". Astronomy: The three stars of Orion's belt represent the three aspects of cannabis: Commerce, medicine, and spirit. Sirius, the brightest star in the nearby constellation Canis Major (Big Dog) symbolizes cannabis in the Northern winter sky. I will share my faith, but not be obnoxious about it. I will not betray anyone for acting in accordance with these beliefs, whether or not they ascribe to the Cantheist faith. We pray for our oppressors, and work for a better world.